Rainier Valley is getting its own radio station, with programming focused on the diverse community it serves. The new Rainier Valley Radio KVRU 105.7 FM, will be a low-power FM station that will reach the Rainier Valley area as well as other nearby areas. Listeners will be able to tune in and provide feedback during September while it is running tests. KVRU’s programs will launch officially on Oct. 5 and focus on First People’s art, culture, issues and history. Throughout October, the station will celebrate the culture and history of the diverse cultures that live in Rainier Valley. 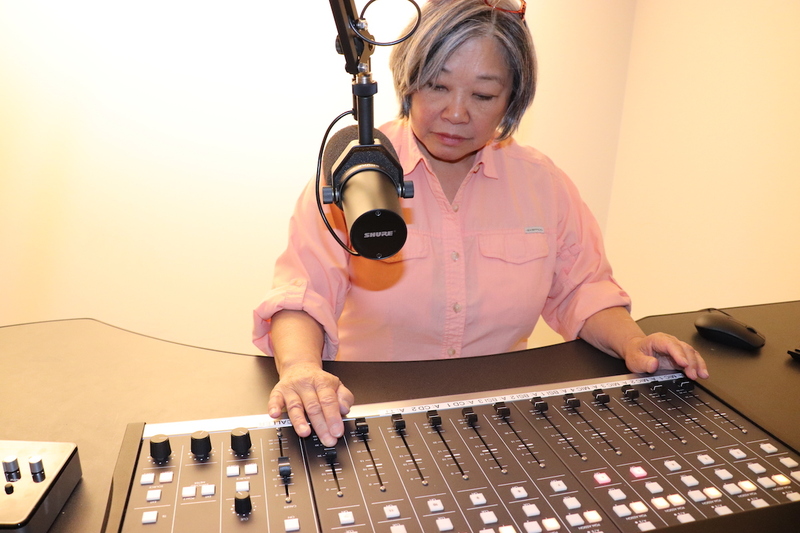 Sharon Maeda, who brings almost 40 years of community radio management expertise and is nationally recognized for her work in communication and activism, will be KVRU’s first station manager. Maeda who worked for the nonprofits Pacifica Radio and KRAB-FM back in the 1970s and 1980s. Though she retired in 2015, she returned to work because of the political climate. She said she had moral obligation to take action. “The people in this diverse area need a voice more than anybody else, because they don’t have a voice in other places by and large. That’s why I came out of retirement to do this job,” she said. Because it’s a low-power FM station, its main reach will be the Rainier Valley area, the west side of Mercer Island and the east side of Beacon Hill. The signal may also be strong enough to reach central Chinatown/International District. The mission of the KVRU is to inform, educate, and entertain listeners through community driven programs. It emphasizes multilingual and multicultural programs. The Rainier Valley is one of the most diverse neighborhoods in Seattle. Maeda says KVRU plans to serve all of them, and the different organizations that also serve specific communities. KVRU plans to puts the Rainier Valley on the air as well as offer news about getting involved in civic events, she said. The on-air personalities will also give information on upcoming job opportunities and workshops too. The station’s plan is to inspire the residents to feel comfortable about representing themselves at, for example, city council meetings. “[We want to prepare people so they] are ready at whatever affects their lives,” Maeda said. Maeda says that LPFM stations have more freedom than commercial stations to air a variety of topics that the community wants to hear. Hyperlocal stations have the advantage to better serve the community by having the freedom to introduce new things to their listeners, she said. SouthEast Effective Development (SEED) and SEEDArts raised $400,000 to start the radio station. The funds were used to buy state-of-the-art equipment for two studios inside a suite in a housing development near Rainier Square Plaza. The station receives most of its funding through grants, but Maeda hopes the station will gradually receive more money through membership because residents find the station valuable. Maeda considered KVRU’s equipment luxurious for a LPFM station compared to the bare minimum cost for start-up equipment $10,000. Getting a noncommercial frequency is free, but to start a station, an engineer and a communications attorney are needed. According to KVRU Project Manager Lance Randall, the completion of the studio construction is a big milestone. The station will start with six to eight hours of original programs per day, rebroadcasting later in the same day, but they plan will gradually put out 24 hours of programming per day by next year. KVRU is one of many LPFM stations that received its Federal Communications Commission license to broadcast recently. In addition to the existing stations in U-District, Greenwood and Wallingford, there is one launching soon in Duvall. Yemas Ly is a UW student studying atmospheric sciences (meteorology) and journalism. Gaining experience from interning at the Seattle Globalist, now the current intern at Real Change News, she often covers social justice topics, but not exclusively.